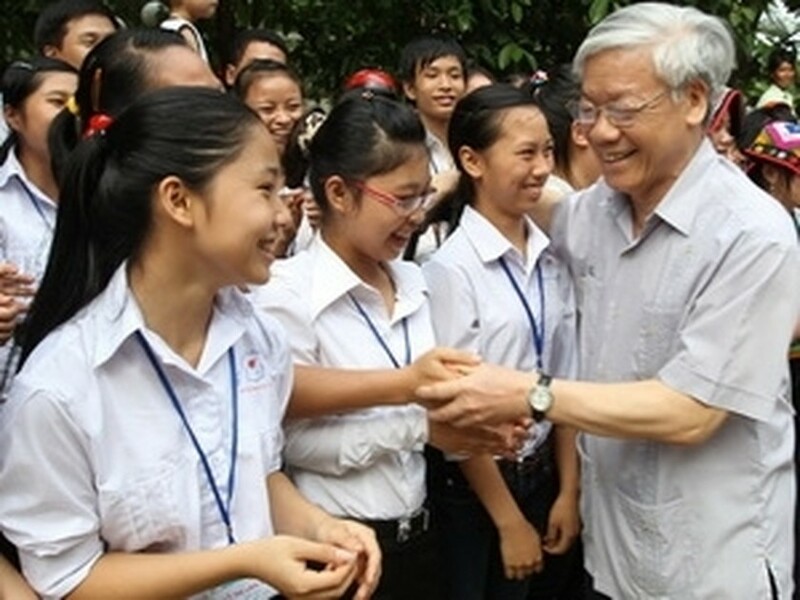 Party General Secretary Nguyen Phu Trong has called on Muong Lat border mountainous district of central Thanh Hoa province to actively seek ways to surmount difficulties and get rid of poverty to become a new rural area. The Party leader made the statement at his two-day working visit to Muong Lat district, one of the most disadvantaged districts in the country, to inspect its implementation of the Party Central Committee’s Resolution 26 NQ/TW on agriculture, rural areas and farmers. Muong Lat has a population of almost 34,000 with the majority being Thai ethnic people (46.2 percent) and Mong ethnic people (39.8 percent). It shares 100 km of borderline with Hua Phan province of Laos. Thanks to the implementation of the Resolution 26 NQ/TW, eight out of nine communes and towns of Muong Lat district have been connected to the national grids, all communes have medical clinics and are accessible by cars. For its future development, Muong Lat has proposed the central agencies prioritising capital for its programmes, particularly transport projects, and issuing preferential policies for public employees working in disadvantaged areas as well as distinctive criteria on new rural area for Muong Lat. During his working visit to the province on Sept. 2 and 3, the Party chief made a fact-finding tour to Trung Ly and Muong Chanh communes, visited and presented gifts to a number of outstanding families of social beneficiaries and called at officers and soldiers of Border Guards 495 and 489.